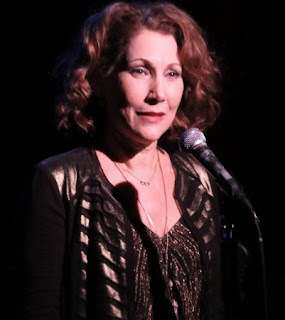 Randy Graff won a Tony Award and a Drama Desk Awards for her role in City of Angels and was nominated for an Outer Critics, Drama Desk and Tony Award for her work in A Class Act. She has the distinction of creating the role of Fantine in the original Broadway production of Les Misérables. 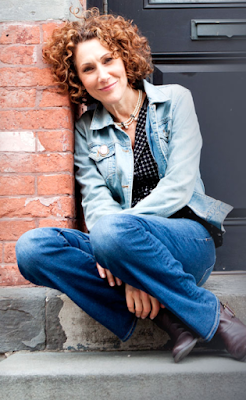 A Broadway veteran, she has also worked extensively in regional theatre, television and film, appeared at Lincoln Center, Carnegie Hall, The Town Hall and The Kennedy Center and can be heard on the original cast albums of many Broadway shows. 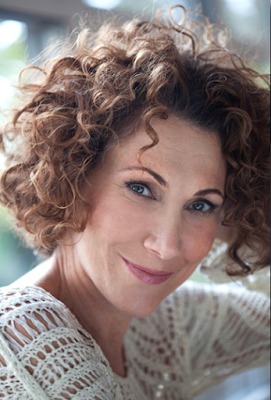 She received an Honorary Doctorate in Performing Arts from Wagner College and is on the musical theatre faculty of Manhattan School of Music. Stay Thirsty Magazine visited with Randy Graff at her home in New York for this Conversation about her life on Broadway and beyond. STAY THIRSTY: From your early success as Fantine in the original production of Les Misérables to your recent solo shows, you have led a storied, award-winning Broadway life. As you look back, what roles most exemplified who you really are and which ones were the most challenging? RANDY GRAFF: There’s a piece of me in every role I play. Fantine was the most removed and challenging because of the life she led during that time period. Do I know what it’s like to cut all my hair off and become a prostitute? No! However, Les Mis is so powerful, it takes you there every night. The roles that felt the closest to me were Golde in Fiddler because of my Jewish heritage, and Trina in Falsettos because of its’ themes of family, (I’m very close to mine) and the AIDS epidemic. I lost many friends in the eighties and early nineties, and that show stayed with me for a while after I left. City of Angels was pure fun because I’ve always felt an affinity for the 1940’s. I loved researching that show and wearing the clothes. And the shoes! STAY THIRSTY: How has the focus on women in Broadway musical theatre changed during the past 25 years? RANDY GRAFF: Well, there certainly are more female writers, directors, designers, and producers. I think the most recent and exciting change is the female composers bringing their music to Broadway. Cyndi Lauper, Sarah Bareillis, Alanis Morissette and The Go Go’s. Who am I leaving out? These women are changing the demographic of the theatre going audience, the way Jonathan Larson did with Rent. STAY THIRSTY: You have said that the way women on Broadway sing changed during your career. What are the vocal demands on female singers today compared to when you started in musical theatre? RANDY GRAFF: Ah, the high belting epidemic. The music has changed so the vocal demands are different. When I was coming up, women did not have to belt above a C, mostly. Now, especially with the younger composers, the vocal range pops up to D, E’s and F’ and G’s. So young singers must train their mix, to achieve healthy belting. I love the sound up there as long as it’s healthy and not screaming at me. What I take issue with is when the vocal range does not match the actual age of a character. If you’re going up for a woman in her 60’s, you should not have to sing E’s F’s and G’s. I like to sing where I talk as the character. STAY THIRSTY: You have starred opposite performers like Alfred Molina, Nathan Lane, Sean Hayes and with Carol Burnett. What is the process you go through when you are cast in a new show when you know some of the other actors and when you don’t? How difficult is it for you when your chemistry with the other leading actors is off? RANDY GRAFF: I have been so fortunate to work with great actors who happen to be generous people. My process is the same with all actors, chemistry or no chemistry, pals or not. Just do the work and things will eventually fall into place. I’ve learned to be patient when working with actors with whom I don’t see eye to eye. I try not to take anything personally. Everyone has their own way of working. Sometimes, we come together and sometimes we don’t. I try my best to do my job and feel grateful for it. STAY THIRSTY: You have said when you are teaching that a key focus is “the importance of acting the lyric” and that the actor has to “get in touch with what activates the moment.” What prompted your discovery and understanding of these guiding principles? STAY THIRSTY: When you look back at your original performances of “I Dreamed a Dream,” what do you think about? How would you today have instructed the Randy Graff of then? RANDY GRAFF: Ha! I would have told her to relax and not over sing. When I listen to that recording, my mature self says stop pushing! But, I was singing in performance mode on the recording and Fantine was in a living hell. I guess my version of “I Dreamed A Dream” is raw, and that’s what people continue to tell me they like about it. STAY THIRSTY: As a member of the teaching faculty of Manhattan School of Music (MSM), how important is it for students to interact with Broadway veterans? How influential are these contacts in shaping musical theatre students’ aspirations? RANDY GRAFF: We have a group of superb teachers at MSM who happen to be Broadway vets, and our students appreciate the importance of learning from those who have and are still performing for many, many years. I, myself, continue to be inspired by my favorite actors. I watch them and study them and steal from them! STAY THIRSTY: What are the three most important concepts aspiring Broadway performers should keep in mind when planning for a career in musical theatre? RANDY GRAFF: Be you! Not who you think they want you to be. Go to the theatre to see where the bar is, and hold on to the love for what you do.